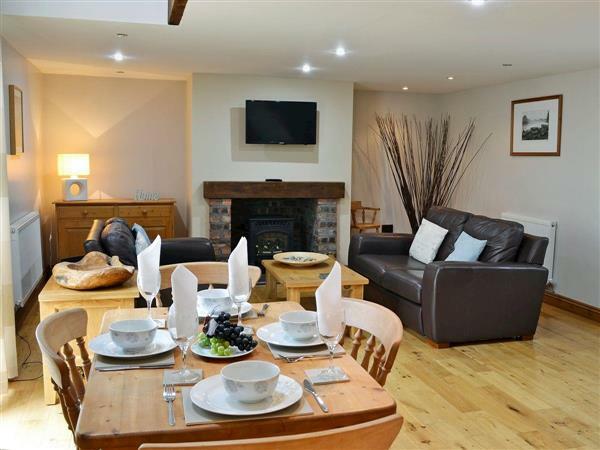 Aden Barn in Allonby, near Silloth, Cumbria sleeps 4 people. Aden Barn near Silloth is a beautifully presented, terraced barn conversion which is situated off a picturesque cobbled street in the historic seaside village of Allonby. Aden Barn has a full length galleried feature window to the front and has a light and airy feel. Converted to a good standard, it has solid wood flooring and with its elegant décor, Aden Barn is a superb base from which to explore the area. The Western Lake District holds a number of surprises and none more so than the stunning beach at Allonby. You can walk for miles along the beautiful sandy beach taking in the breathtaking views towards Scotland across the Solway Firth. Try your hand at windsurfing here, with its reputation for being one of the best places in the North West. With its quaint cobbled streets Allonby has a wealth of places to eat and drink with bars, cafes and restaurants as well as the famous ice cream shop on the sea front – people travel for miles to sample the ’Allonby whopper’! The beach is 100 yards, with the nearest shop 150 yards, and the pub & restaurant are 40 yards from Aden Barn near Silloth. 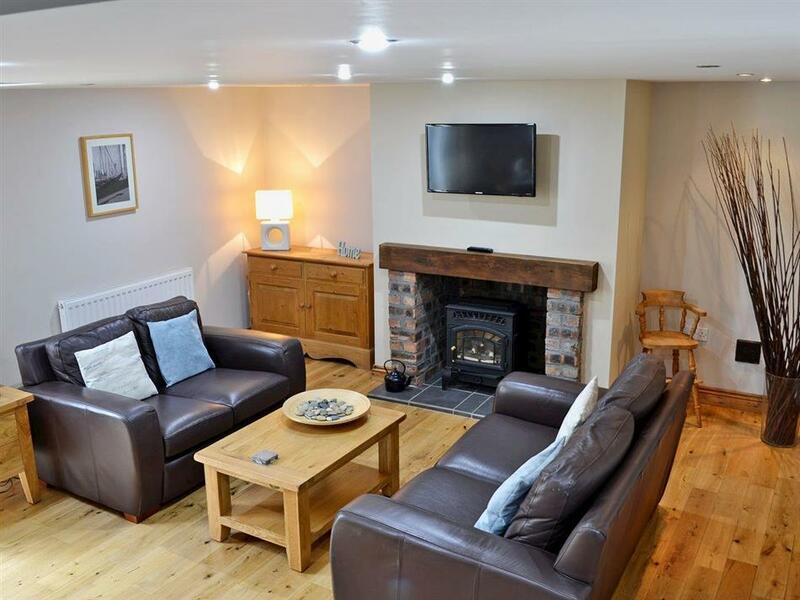 Living area: With gas fire, 32 Freeview TV, DVD player and Xbox One. Kitchen area: With electric oven, electric hob, microwave, fridge and dishwasher. Bedroom 1: With king-size bed and Freeview TV. Gas central heating, gas, electricity, bed linen and towels included. Travel cot available on request. Welcome pack. On road parking. No smoking. Holidays at Aden Barn run from Friday to Friday. For a better idea of where Aden Barn is, you can see Aden Barn on the map below. Aden Barn is in Cumbria; should you be on the lookout for a special offer, you can find all the special offers in Cumbria. It's always worth checking to see what is on offer at the moment. Do you want to holiday near Aden Barn (UKC1760), you can see other cottages within 25 miles of Aden Barn; have a look to find your perfect holiday location.